Compact, time-saving labelling for on-the-go pros. 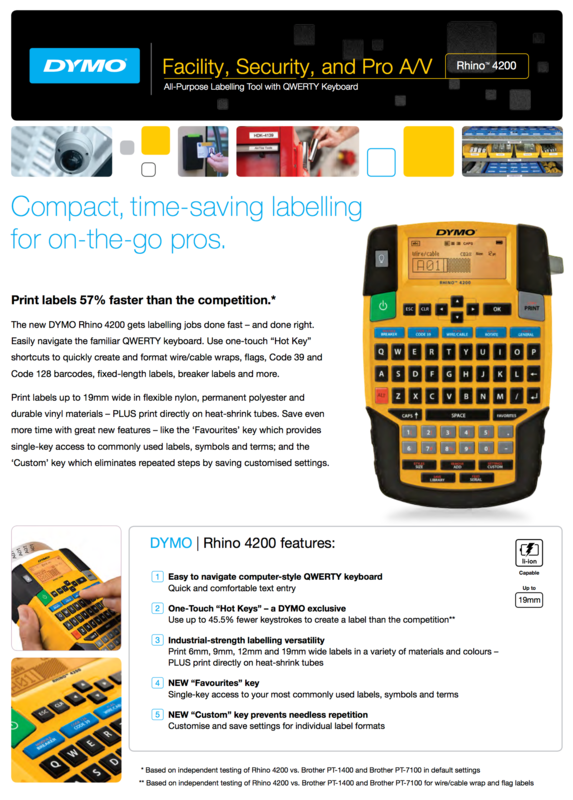 Get labelling jobs done fast – and done right. Print labels up to 19 mm wide in flexible nylon, permanent polyester and durable vinyl materials – PLUS print directly on heat-shrink tubes. Save even more time with great new features – like the ‘Favorites’ key which provides single-key access to commonly used labels, symbols and terms; and the ‘Custom’ key which eliminates repeated steps by saving customized settings. 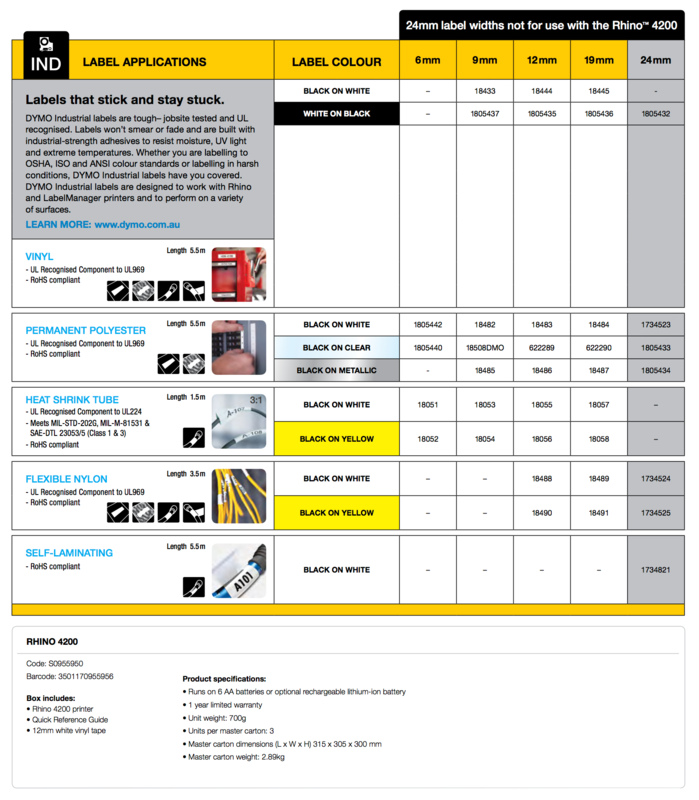 The range of label types is exactly what we were looking for (server room equipment, cables, computer accessories) and the labeller functions without a hitch. We are very happy with it.